Back in 2013, as the Sigil Daily project was finding its feet on social media, I did a bit of guerilla marketing on Twitter and worked with a marketing company from wordtree.io as well. The idea was simple: Turn @SigilDaily’s followers’ screen names into sigils. These were fun, off-the-cuff works of sigil art, and there are several I still count among my favorite works for the project. Most of those early followers responded with a “Oh … That’s cool, I guess … Thanks?” kind of reply. But every so often, the sigil would really connect with the person on the other side of the monitor. One such person was Stella Iris, AKA @IrisRedRaven. As you can see, she liked this sigil enough to make it a permanent part of her body. That’s not only an exceptionally cool thing, it’s also a testament to the power that drives sigil magick in the first place. 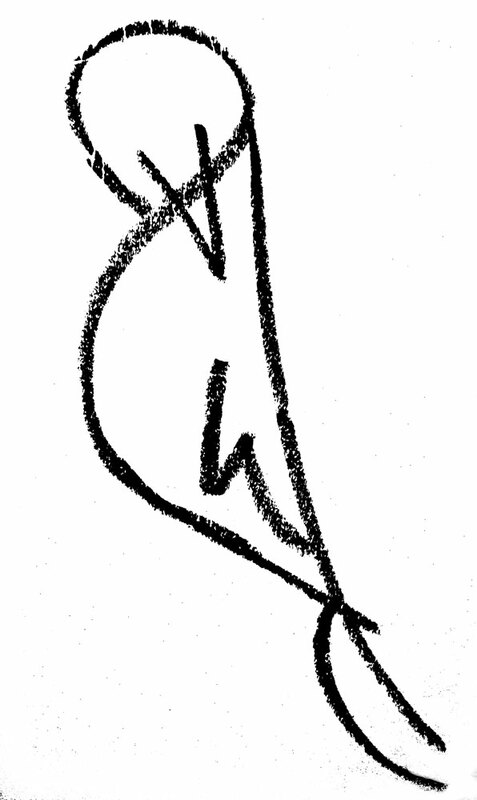 The symbol I drew was just something I came up with in the moment, one of perhaps a half-dozen I made that evening. To me, it was just some charcoal lines on a sketch pad. But to Stella Iris, this symbol had power. That power is real, and it didn’t come from me. It came from her. She’s the one who invested it with meaning, and now that symbol has a story and a life all its own. It grows every time someone asks her about the drawing on her arm, where it came from, and what the story behind her Twitter handle is. Even I don’t know what that story is. I just know the tiny role I played in it. And now my small contribution is etched into that story for as long as it’s told. There’s no greater honor for someone like me than to have something I drew take on that kind of meaning for someone else. Stella Iris may not be the first person to get a tattoo of a Sigil Daily symbol (there’s at least a few of “The Serenity Prayer” sigil ones out there), but she’s easily the one who has made me the inspired. Here’s the original sigil, by the way. 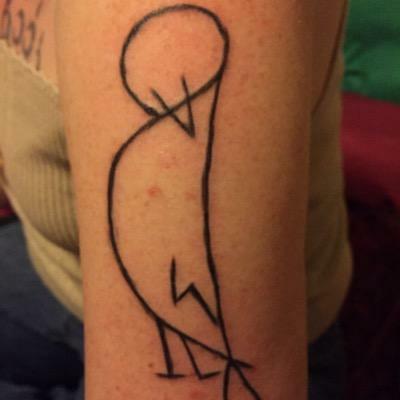 You’ll notice that she added feet to the bird in her tattooed version, which only makes sense.